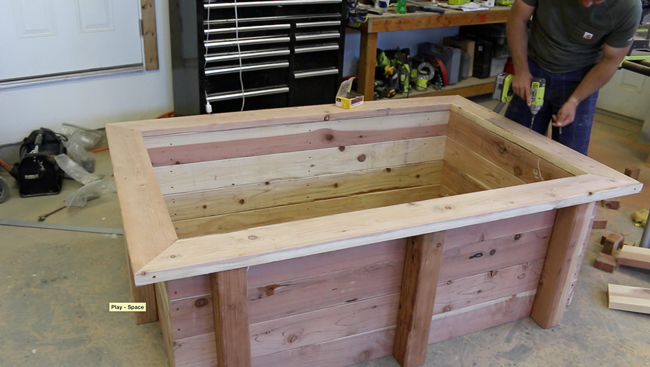 Looking for plans or ideas to build your own raised garden bed? Look no further! Complete plans and a video tutorial are linked to in this post. I reached out to a local non-profit named Sage Gardeners in Bozeman, Montana as a collaboration for this project. 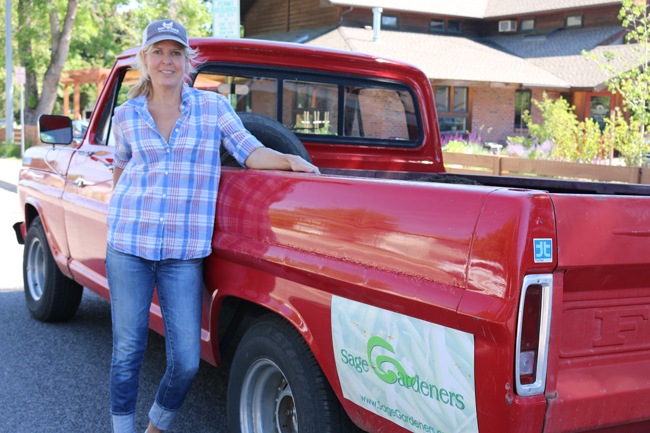 Sage Gardeners builds and donates raised flower beds to seniors in our local community. What a cool idea! I wanted to share their mission with others in hopes you or someone you know might be inspired to do something similar in your town. 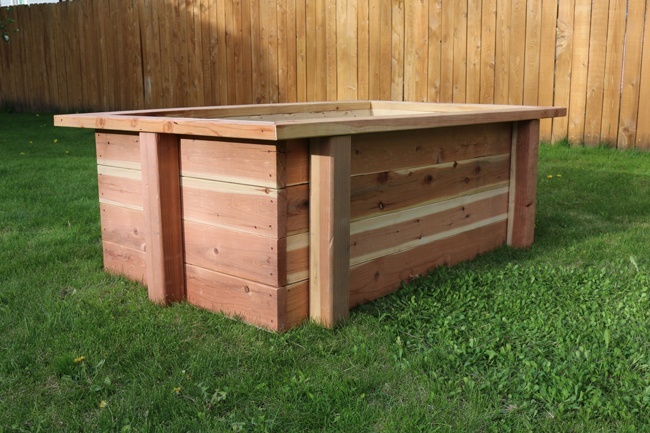 The raised bed is perfect for planting flowers or vegetables. This garden bed measures 4 feet wide by 6 feet long. The actual plantable area is roughly 3 feet by 5 feet. Sage Gardeners came up with this design and I love it. 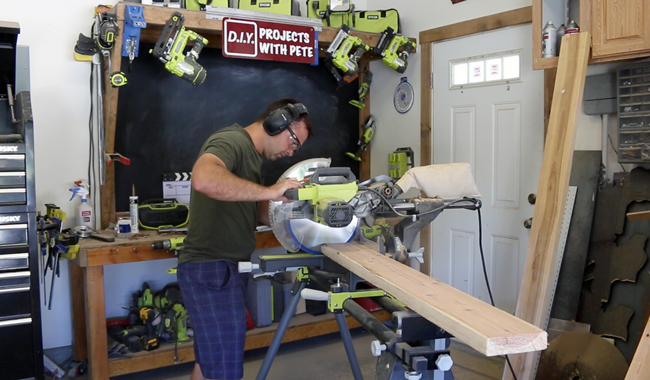 The top frame is perfect as a bench or to set a cup of coffee or tools while you garden. The height is right around 2 feet and so you will not need to get down on your knees to dig and plant. I think you'll like the design, and it can easily be modified to any size you'd like. Pictured below is Jonquil Nelson, founder of Sage Gardeners. 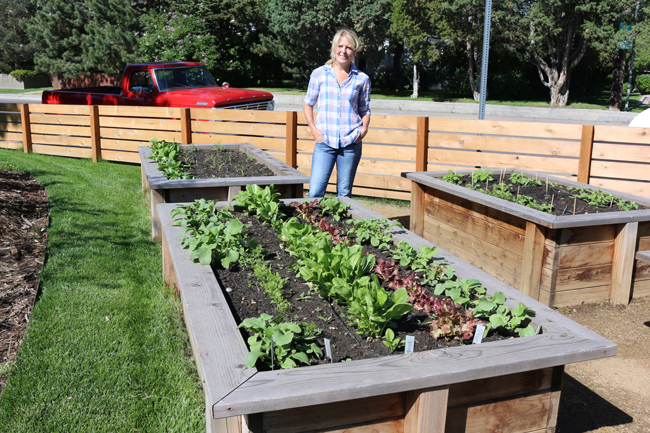 These raised garden beds were donated to our local cancer support community. Here is a look at a finished garden bed. 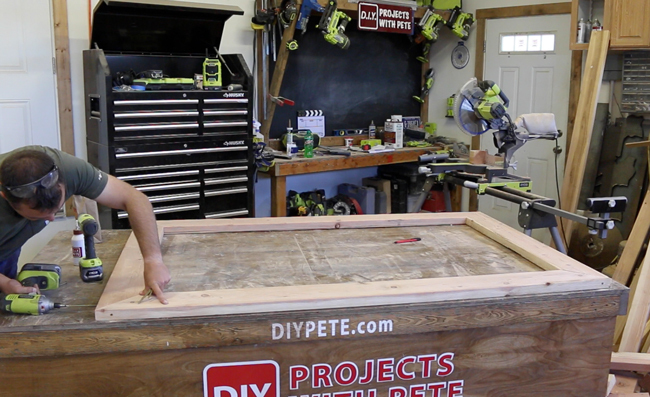 *Please note ­ By using these links to purchase tools you are helping support DIYPete.com. Start by making your cuts according to my free raised garden bed plans. You'll need 2×6 boards and 4×4 boards. 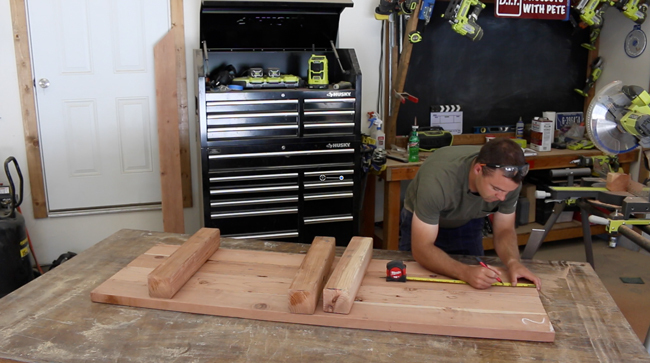 Cut the 4 boards that create the top ledge or frame for the diy raised garden bed. Miter each board with a 45 degree angle. 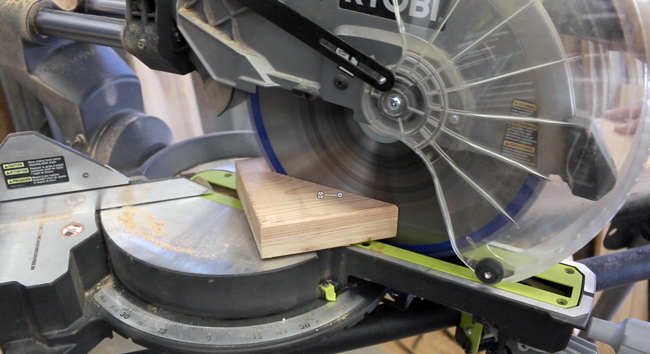 If you'd prefer not to do a mitered corner you can always do straight cuts with non-mitered corners. 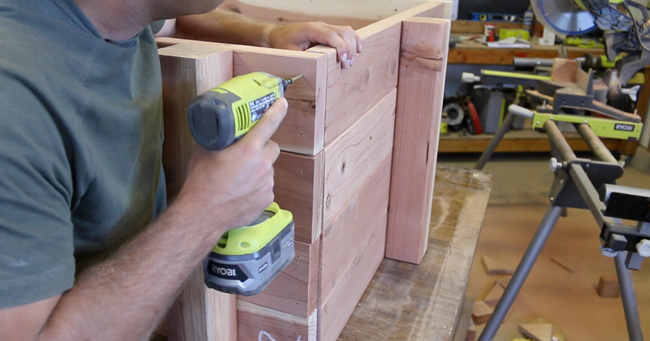 Lay out the 2×6 boards to create the side walls. Start with the longer sidewalls. Measure 5 inches in from each end to determine placement for the 4×4's. If you are building a fairly large box I'd recommend putting a 4×4 in the center of the sidewall as well. I did for this project. Attach the 4×4 boards which will face toward the outside of the box. Use 3 inch wood screws. You will not see the screw holes since they'll be the inside area of the garden. Create the shorter sidewalls. Center the 4×4 and attach. Place all four sides on a flat work surface and attach them to each other. 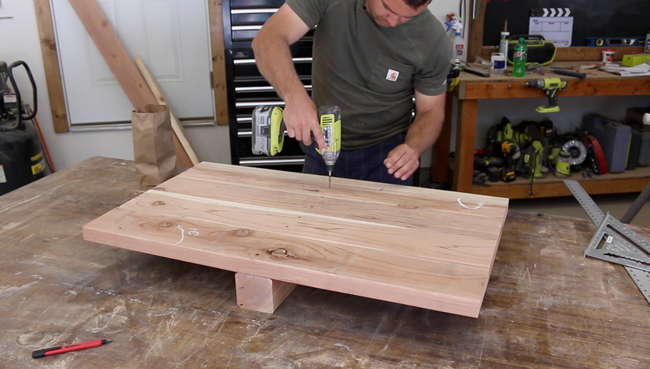 Pre-drill and then connect using 3 inch wood screws. 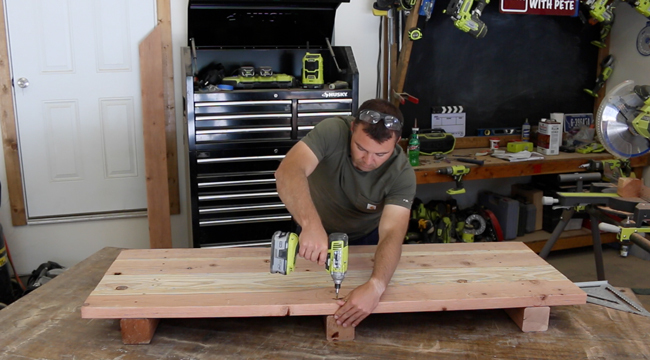 Create the top frame out of 2×6 boards. Use good glue and a couple screws at each corner. 3 inch wood screws will work. Longer screws are helpful if you can find some at your local hardware store. However, we'll be attaching the frame from to the base with screws which will continue to strengthen the raised bed to make it super sturdy. Attach the frame from the top with 3 inch screws. I didn't get photos of this final bed installed, but the remaining steps include putting the garden bed in place, using a weed liner/weed mat to protect weeds from growing into the bed, filling with soil, and then planting flowers. This raised garden bed took about 1 yard of soil. 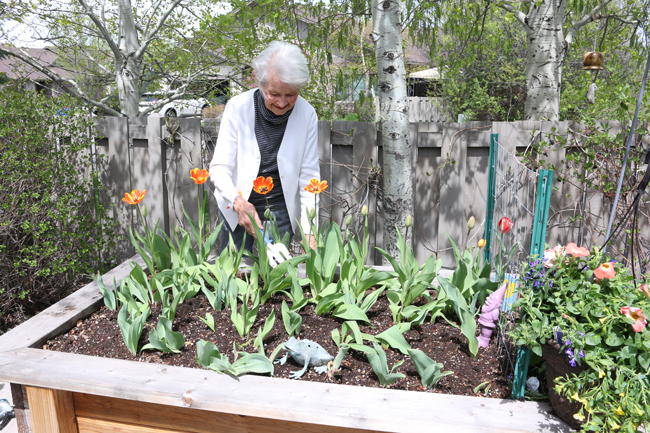 Pictured below is our good friend Marge who has a raised garden bed that was donated by Sage Gardeners. I'd love for you to build your own raised garden bed or to gift one to a friend, family member, or to someone in your own community. 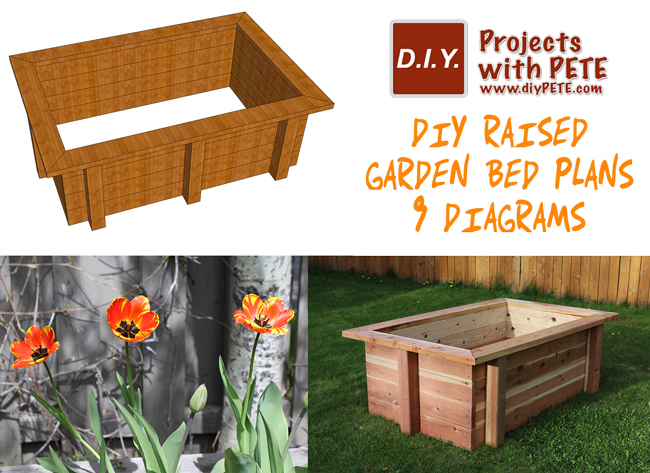 The Free Raised Garden Bed Plans can downloaded here. Pictured below is Jonquil with her pickup that is used to deliver all the raised garden beds. Please share project photos of your raised garden bed below. Good luck and have fun with the projects!